"It has always been a special place, I am glad it is still happening that way. It was not a trouble-free weekend for us, but I am glad it finished with no problems. Corsica for sure will be the same target, take the win and maximum points. I'll celebrate on the plane with some champagne and then at home with my wife and my little one!" "My tyres were dead, I had to fight with that. I had to have a good rhythm this morning because if someone made a mistake in front then I would have been there." / "Mám zničené pneu, ráno jsem tahal a čekal, zda někdo neudělá chybu, Kris je šetřil." "End of the second-last stage, last right-hand corner there was bed rock, it touched the sump guard and somehow it broke the radiator. Basically we had no water, we have this chemical which is like a glue, I fixed the radiator and I ran 500m down to the river to get water in the bottles to fill the radiator. The sump guard was only half-fixed so I couldn't go over any jumps or hit any more rocks because it would have broken the front-end of the car." / "Na konci předchozí RZ jsme trefili kámen a nějak prorazili chladič. Zalepili jsme to, ale neměli jsme vodu, museli jsme sjet k řece a naplnit si lahve. Lyžina dole je přidělaná jen napůl, tak jsem musel jet pomalu." "The plan was to go normal, but I pushed a little bit but on the start line I felt good in the car and I enjoyed it a lot. However, I had to be quite careful because the tyres were quite worn and I was thinking about the manufacturers' championship points." / "Cílem nebylo jet teď naplno, ale cítil jsem se dobře, tak jsem to zkusil. Ale musel jsem brát ohled na body do značek." "A lot of positives to take away, the car is much more to my liking. I had a good clean run on this stage, obviously missing the first run on Friday so I was discovering the road a bit." / "Je tu hodně pozitivních věcí. Auto se mně začíná líbit. Trochu jsem tady měl nevýhodu, že jsem tu nejel v pátek první průjezd." "I guess all the fights are over from the overall standings, I guess Mr Tänak will be on a really strong push. It is cleaning, but it is what it is." 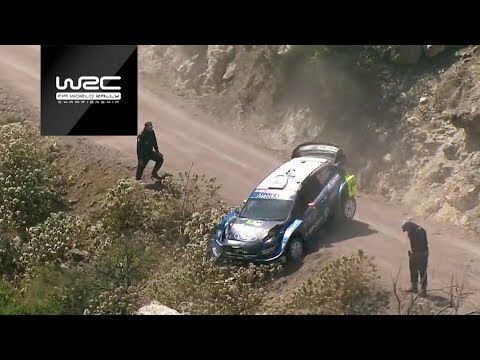 / "Tänak bude mít na tvrdých pneu výhodu. Čistí se, ale tak to je." "The bad luck is following us. I didn't hit anything. For Argentina we will be stronger." / "Drží se nás smůla, nic jsem netrefil. V Argentině budeme silnější." "It is great, great result, it is the best ever. 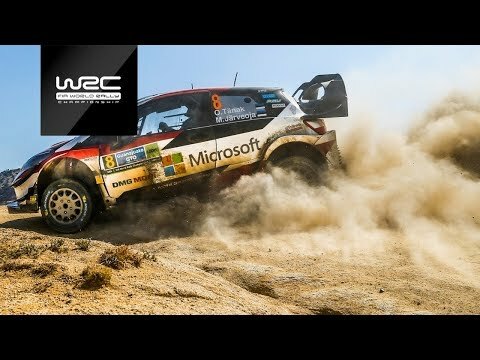 It is my first win in WRC 2, it is something I have been fighting for for two years and I'm really pleased it is here in Mexico." 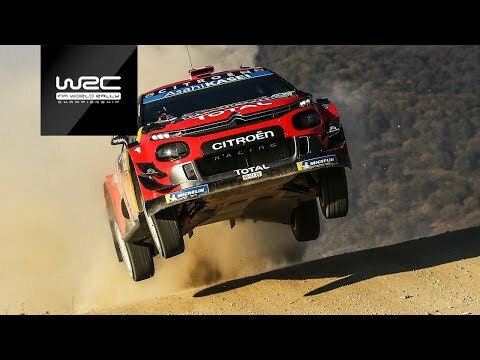 / "Je to můj nejlepší výsledek v životě a první vítězství ve WRC2. Pracoval jsem na tom dva roky a jsem rád, že se to povedlo zrovna v Mexiku." "For sure the kilometres are the most important thing so I am pleased I am here at the finish. Next time I will be more confident for sure on these stages which are very demanding." / "Nejdůležitější jsou najeté kilometry, takže jsem rád v cíli. Příště budu zkušenější, ty zkoušky jsou opravdu náročné."